Wisconsin has been responsible for so many good things—beer, cheese, the Violent Femmes—that it’s difficult to believe that two of the most gruesome and disturbing serial killers in American history were from America’s Dairyland. 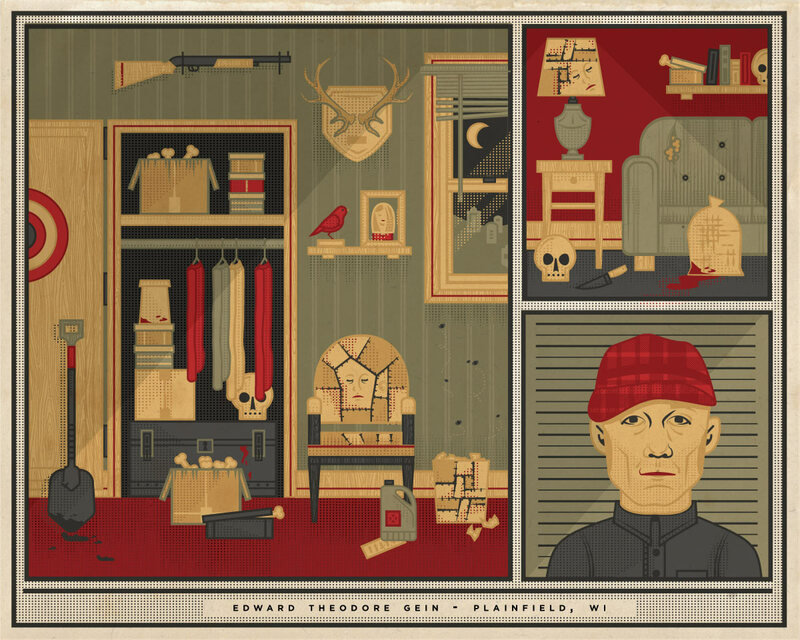 First up, Ed Gein. Hailing from Plainfield, WI, he was devoted to his mother. After her death, he began robbing graves, practicing necrophilia and experimenting with human taxidermy. He made bowls from skulls, chair seats from human skin, kept body parts as trophies, and created female skin suits. Soon after, Gein turned to murder. When police went to Gein’s farm to investigate a woman’s disappearance in 1957, they uncovered some of the most grotesque crimes ever committed. Gein inspired such film characters as Norman Bates (Psycho), Buffalo Bill (Silence of the Lambs) and Leatherface (Texas Chainsaw Massacre). 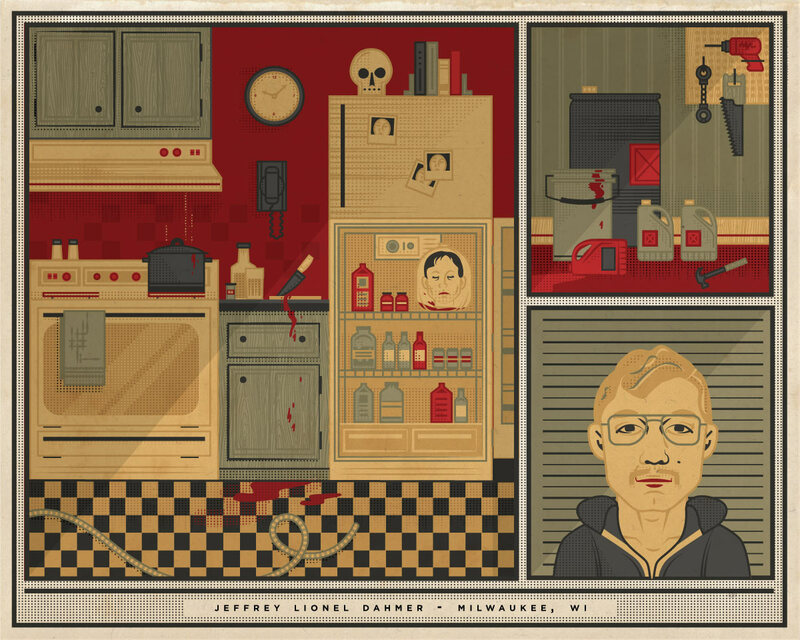 Next is Milwaukee’s own Jeffrey Dahmer. One of the worst serial killers in American history. Between 1978 and 1991, Dahmer killed 17 men, mostly young African-Americans that he met at gay bars. He would bring them home to his grandmother’s basement where he would drug them, strangle them to death, molest the corpses, and then dismember the bodies. Dahmer also kept body parts as souvenirs and often took photos of each victim at various stages of the murder process, so he could later relive the experience. Dahmer was finally caught in 1991 and sentenced to 15 life terms in 1992. FANTASTIC! I have always been fascinated by their stories (to this day, whenever we drive by the prison near Portage, we always say “Dahmer Prison!”) so I am really enjoying Melody’s interpretation of their homes. And after reading her thoughts, I’m especially impressed with how she worked out of her comfort zone for this one. Great, great work!! I adore these, they are fantastic, I want, I want, I want.